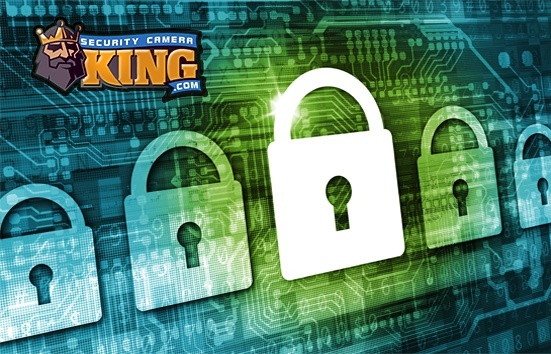 A digital security system is any system that integrates digital data for the purpose of creating, sending, or recording information that can be used to protect something. That's a pretty broad definition, but then again digital security system is a pretty broad phrase. A digital security system is any system that integrates digital data for the purpose of creating, sending, or recording information that can be used to protect something. That’s a pretty broad definition, but then again digital security system is a pretty broad phrase. Since most security alarm systems primarily deal with on/off states (door open/door closed) we could consider them to be inherently digital, but that’s not really what we mean here. 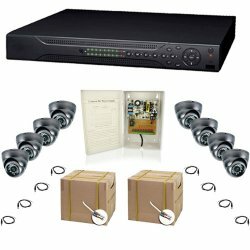 What we mean by digital security system is a video security system that operates on the basis of digital data transfer as opposed to an analog system. For example VHS and Beta video tapes, cassette tape recorders and players, and record albums are all examples of analog devices or media. CDs, DVDs, hard disk drives, and LCD monitors are all examples of digital devices or media. Older video security systems (often referred to today as “legacy systems”), were strictly analog in nature. The video camera, basically a smaller version of a television studio camera, transferred light energy into electrical energy that could be used to produce a video image. The electrical energy produced by the camera was sent to a Video Tape Recorder (VTR). The VTR saves the video image as a magnetic recording on magnetic tape. The magnetic recording is in analog form meaning that the signal is recorded with weak spots and strong spots. The analog VTRs used for this purpose are either VHS or Beta format. The greatest disadvantage of an analog security system is that the analog system is subject to distortion and degradation. Each time the recording is played a slight loss of the signal, especially in the weak spots, is experienced and over time the signal can also deteriorate. A digital security system or digital video camera initially creates the video image in the same manner as its analog counterpart. However, a digital video camera contains an “analog to digital” converter circuit that transfers the analog signal into a digital signal. The signals of digital security systems do not have strong and weak points like analog video. The data is only a continuous series of 1s and 0s. This data is sent via a video transmission cable just like the analog video; however instead of using a VTR to record the signal, a Digital Video Recorder or DVR is used. The DVR unit usually contains a highly specialized computer processor called a Digital Signal Processor or DSP the reads the cameras digital data and assembles it into a digital video file that is saved on the DVR. There are two great advantages of a digital security system as compared to an analog system. First, since digital security systems use digital data, the recording typically doesn’t degrade on magnetic mediums as easy as analog signals do and, the data can be saved to media that doesn’t degrade at all (such as CDs or DVDs). Second, since digital security systems create digital data, the technology and equipment used with personal computers can be integrated for use with the digital security system. Advances in technology with Integrated Circuit (IC) chips, digital memory storage, use of the Internet, increased speed of computer processors to name of few can all be used to the benefit of a digital security system. For example, miniature IC chips can be used with cameras the size of a pinhole to capture, digitize and transmit video. As computer hard disk drives vastly increase their storage capacity, digital video security systems reap the benefit of longer recording times without rewriting over old data. Faster and broader applications of the Internet allow a user to access their digital system from anywhere in the world there is broadband internet accessibility. And finally, as computer processor speeds and capabilities expand, video quality also gets higher and higher. Current legacy (analog) security system users don’t despair. Although your systems are typically no longer available for purchase, it is possible to convert them to digital. Thankfully, as the digital revolution has occurred, several devices have been created that help merge some analog devices with digital equipment. For example, analog security systems can use the internet to monitor their systems like security digital systems can. Users can purchase analog to digital capture cards and servers which transfer the signal from an analog to a digital state and incorporate into files that are computer compatible. For a nominal added expense of these devices, even analog systems can assume some of the advantages of digital security systems.